When working on a home renovation or a personal project, you might find yourself in need of a good tube notcher. These specialized tools can help you make your life easier, allowing you to create perfect joins that are super strong and look great. Without a good tube notcher, you’ll find that your task is extremely difficult, so spending the money on this tool will give you the ability to take on many new tasks around the home. WHAT IS A TUBE NOTCHER? 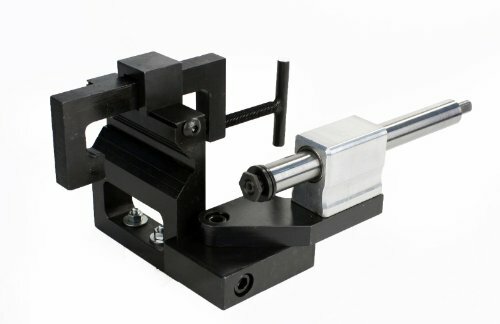 A tube notcher, often also referred to as a pipe notcher, is a specialized tool that will allow you to take two or more pieces of tubing and create joins that will allow you to alter the functionality of the pipes. While a tube notcher can help you to construct a join that only has aesthetic value, you can actually use the tool to create fully functional water pipe reroutes or create strong frames quickly and easily. A tube notcher consists of several specific parts. A pipe guide allows you to position your tube so that it can be held in place while you cut it. A hole saw is affixed to a mandrel that is adjusted to the position where the cutting will take place. A lever allows you to move the hole saw to begin cutting. 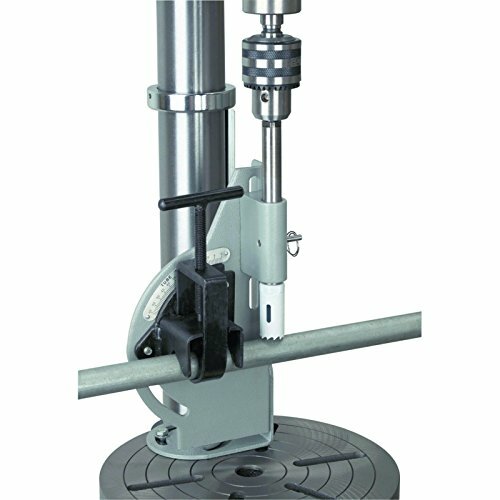 The body of the tube notcher is strong and often fitted to a drill press in order to keep it stable. The idea behind a tube notcher is that it gives you a highly accurate cut so that your joins appear seamless and strong. An ill-fitting join will only serve to reduce the integrity of what you’re constructing. That’s why it’s very important to choose a good quality tube notcher for your work. When it comes to your work, you need tools that will save you time, allowing you to work fast and easily. 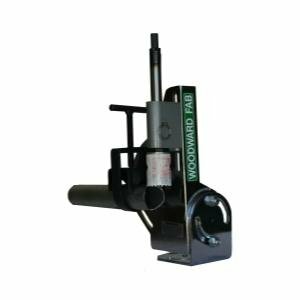 The Woodward Fab’s Hole Saw Pipe and Tube Notcher is a versatile tool that will have you done in no time. Woodward Fab are focused on providing useful and versatile tools, and this tube notcher is just that. Designed to mount easily onto any drill press, hand held press or motor, allowing you the freedom to work the way you want to. Not only is the Woodward Fab tube notcher simple to mount and use, but it also allows you to create excellent saddle notches in a very short amount of time. This will allow you to reduce your overall renovation time, creating seamless welds and strength throughout your structures. The unique feature of this tube notcher is the ability to both cut and notch pipes. The unit contains a hole saw that can cut through pipes up to two inches thick. This allows you added flexibility when it comes to meeting your specific needs. There may be a little more maneuverability in the pipe clamp than you’re used to. Dewalt are a trusted name in tools, and the 14-piece hole saw kit is your solution to fitting tubes of any size regardless of angle. Not only is this a great collection of hole saw blades that include the bits required to use them, but the heavy duty blades will last and last. This hole saw blade collection offers you the most commonly used blade sizes so that you’ll be set for any job you need to do. Ranging in size from ¾ inch to 2-1/2 inch, you’ll have everything you could ever need in one handy set. Rather than spend your time changing your saw blades with each task, you can now set up the blades you need on the two included quick-change mandrels. This will highly increase your productivity levels, allowing you to work more easily and get things done quicker. When you have so many hole saw blades, you need a way to keep them safe. 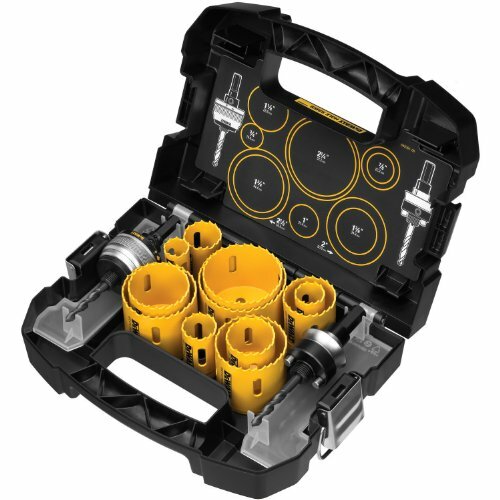 The Dewalt 14-piece hole saw kit comes with its very own durable carry case, so that you can easily take them wherever you need them. For the working professional, a cheap tube notcher just won’t do. The Baileigh is the perfect solution to your tube notching needs which focuses on giving you precision cutting in a fully featured notcher. One of the most difficult parts of your job is lining up the joins so that you can cut perfectly. 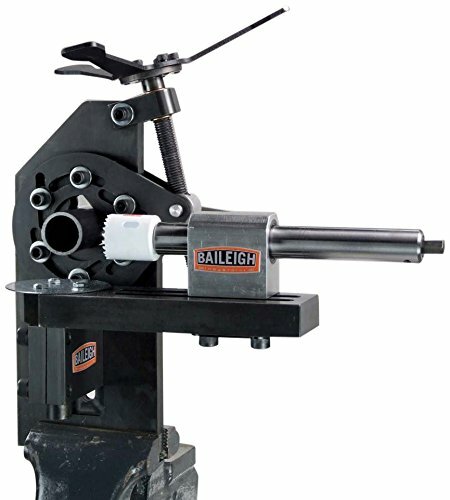 The Baileigh tube notcher is one step ahead of the rest, as it includes their patented self-centering vise. This allows you to create perfectly centered holes every time. When your tools get a lot of use, you often find yourself needing to replace the whole unit every now and then. The Baileigh tube notcher is built with this in mind. Rather than replace the whole unit, both ends of the shaft are replaceable, so you can switch out the parts that need replacing separately. This model is built with superior strength in mind. The 0.75 inch steel plate backbone adds a rigid platform to the device, and then interlocking components mean that you’ll feel less vibration, giving your hands a break and ensuring your tools last longer. The Bosch diamond hole saw set is the best tool for cutting through the hardest materials you ever come across in your work. Produced with 11 different sized diamond grit blades, this versatile tool will last you years without replacement. Rather than spend time creating a pilot hole, the Bosch tool allows you to instantly start cutting with amazing precision and ease thanks to the AutoStart technology. The spring-loaded bit is mounted on a retractable shaft that enables you to perform walk-free cutting. One thing is for sure: the Bosch model is built to save you time. The teeth are made using vacuum-brazed diamond grit cuts, which means they can saw through the hardest of materials, like granite or porcelain, without wearing down. This Bosch tool is great for cutting tubes, but this is not the only use you’ll get out of the unit. In fact, thanks to the superior strength of the diamond blade, you’ll be able to use this tool to cut tiles with ease. Your end results will look beautiful and professional. When the usual tools just won’t get the job done, you need something that will give you a little extra. The Erie Tools tube notcher is the perfect solution for those big jobs that require more muscle. With a functional design and focus on precision, this tube notcher is the perfect accessory. Most tube notchers will allow you to cut holes of up to 2-1/2 inches. However, this is not sufficient for every task. The Erie Tools tube notcher allows you to not only get through thicker holes, but can help you to cut holes of up to 3 inches. In order to allow you to get through tougher pipes and cut bigger holes, the Erie Tools tube notcher is mounted in a super strong frame. The vise type clamp has superior strength and will let you hold your materials very still while you perform your work. In order for a tube notcher to work properly, you need to fix it in place. Without doing this properly, you may cause injuries to yourself or miss the mark when you cut. The Erie tools notcher allows you to mount the unit easily using bolts or clamps so that you can fix it to a table very easily. Woodward Fab make their second appearance on this list with their pipe notcher. 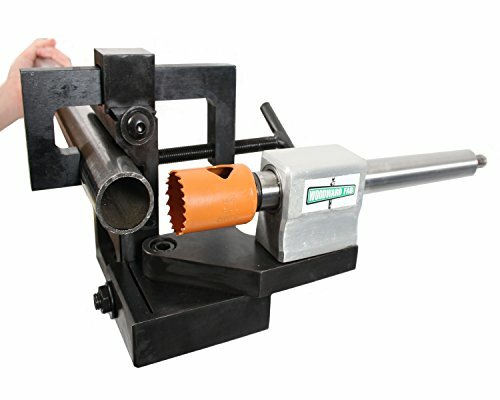 With many of the features of the tube notcher and hole saw that we described earlier, the pipe notcher is designed for use specifically with pipes and adds a lot of versatility in this regard. This Woodward Fab tool is designed with your toughest jobs in mind. It allows you to cut through pipes as small as ¾ inch all the way up to three inches. Not only does it allow you to get through these big jobs, but it can be fitted with standard sized hole saw cutters. You need to get through many different types of jobs, large and small, and this pipe notcher allows you to do that thanks to the fully adjustable frame. You can move the notching blade according to the height of the pipe you’re working on. Your job will be made so much easier. As with the other Woodward Fab tools, you can mount this device anywhere you want. Fitting easily on drill and hand held presses as well as any motor you have, you now have the flexibility to work the way you want to. For the working man on a budget, this tube and pipe notcher offers you the ability cut through your tubes easily without spending the big bucks. 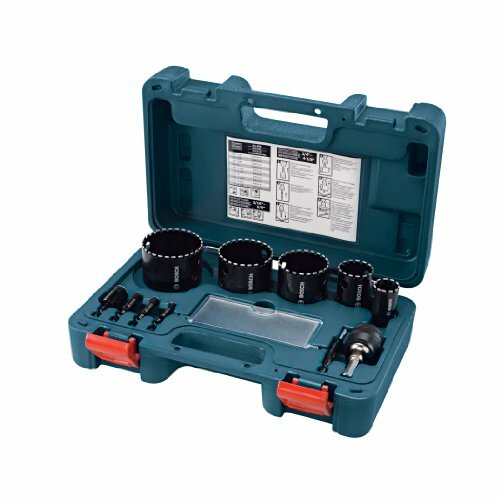 With the ability to perform for any job big or small, this item is a great way to expand your tool collection without going bankrupt. Don’t let the price tag fool you. This tube and pipe notcher is constructed with a heavy duty frame, so that your tube work ends up being more precise and your joins tighter. This will help you to produce better work with less effort. Not only is this tube and pipe notcher strong, but it is flexible enough to cut through tubes from as small as ½ inch all the way up to two inches. Not only that, but the angle is adjustable for up to 60 degrees, so that you can approach your tube from any angle. Rather than be limited to one way of using your tube and pipe notcher, this model allows you to use it with both a drill press or any handheld ½ inch drill. This allows you more flexibility so that you can maintain precision for big jobs and move around for smaller jobs. The third Woodward Fab pipe tube notcher on our list offers you the flexibility and functionality of the other models we’ve already discussed, but with a focus on giving you the freedom to work how you want to work. 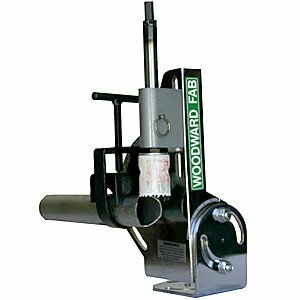 Not only is this Woodward Fab pipe tube notcher a very functional unit at a great price, but you can use it however you need to. Not only can you use it fixed to a drill press, but you can also fit it to your handheld drill. This allows you to move freely with your tool so that you can get to any position. This pipe and tube notcher is compatible with any standard sized hole saw blades up to 2-1/2 inches. This allows you to perform any job that you need to do without worrying about buying proprietary blades or spending extra money. The chrome plated frame looks great in any workshop, and gives your tool the strength to last and last. The angle scales are marked well and very easy to read, and the bronze bearing that is featured in the design ensures that your tube notcher won’t require replacing anytime soon. When you need to get through jobs regardless of the size, the tool you choose to use is key. Thankfully, this model is able to offer you the flexibility to cut through thick pipes without you worrying about mistakes. One of the main factors you look for in a tube and pipe notcher is the give that the product has. If there is too much movement, you’ll find yourself making misses in your cutting. This particular product takes care of that by allowing you to fit it in place on a drill press for extra stability. If your work requires you to cut through very large pipes, you’ll find that many tube and pipe notchers just don’t fit the brief. 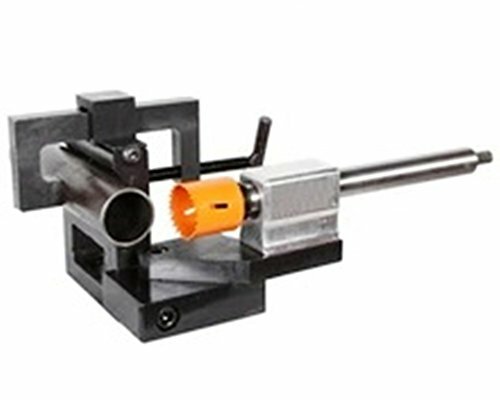 This model allows you to cut through up to three inch thick tubes and pipes with ease. The model adjusts to up to 50 degrees so that you can cut at any angle. While the hole saw blades are not included in this model, the fittings are compatible with any standard sized hole saw blades. This gives you the flexibility of only buying the blade sizes that you will actually use, rather than charging you far more for a product that will just gather dust. The KAKA International pipe and tube notcher is designed for your difficult jobs. Built strong and sturdy, this model is totally adaptable to any work surface that you want to use it with, and will make your life much easier. 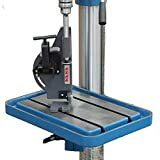 While this model is definitely designed to work best when mounted to a drill press, you will find that the innovative design will allow you to fix it to any work surface regardless of construction. All you need is a vise, and you have yourself a functional and great looking pipe and tube notcher. Not only can you use this model anywhere, but the base is designed in such a way that you can swivel and rotate it while you’re cutting. This is great for when you are cutting compound angles, as it gives you the flexibility to move around as you work. The focus on this tube and pipe notcher is precision. This means that there is no limit to the size and shape of the tube you want to cut. You can also cut at any angle from 0 to 60 degrees comfortably and with ease. There are a number of important steps when it comes to notch tubing using a tube notcher. Here, we present you with a guide on how to notch tubes safely. If you are using your tube notcher with a drill press, mount the notcher in place, making sure that the base is square to the main body and that the foot is attached securely to the press. The shaft should be centered directly under the chuck. Once positioned, check the motion of the press to be sure there is no friction. If you are using a hand drill, the base of the tool should be mounted securely onto a stable bench and clamped in place with a vise. Determine the angle of the fishmouth notch that you want to cut. Adjust the tubing clamp to the determined angle and lock in place. Place the tubing into the V notch and tighten it with the T handle. The fishmouth should be at the end of the pre-cut tubing, rather than the middle. Adjust the hole saw into place, keeping the cutting edge as close to the work as you can. This will reduce vibration and increase accuracy. The locking pin is designed to keep you safe. At this point, you can remove the pin so that you can begin cutting. Keeping the speed low – between 250 and 500 RPM for a drill press and a low variable speed on a hand drill – begin to make your cut by feeding the saw slowly. A tube notcher works by using saw bits that have very sharp teeth. These teeth are designed to cut into metal, so when you use it you should expect some debris to become loose. Without adequate eye protection, this debris can hit your eye and cause extensive damage. Always wear adequate eye protection. As the metal pieces will be sharp after you cut them, you should always wear a pair of heavy duty gloves that will protect your skin from cuts and slices. You will be spending a lot of time grinding sharp edges, so these gloves should always be close by. Never wear jewelry when using your tube notcher. Also, make sure that your hair is tied back and your clothing is not loose. The tube notcher contains moving parts, and if you let anything fall into the path of the machine, this could lead to serious injury. When using your tube notcher, be sure to always keep the saw teeth lubricated. You can use cutting oil for this job. Then, when cutting, you should always move at a slow speed in order to keep control of what you are doing. In addition, you should always clean your tool of excess oil or metal before using it again. In order to use a tube notcher more efficiently, there are a number of tips and tricks that can help you with your work. Here, we take you through some of the best tips from experts in the field. If you plan your notches so that you’re using the acute angle rather than the obtuse angle, you’ll be able to get an unobstructed view of the angle and will be able to position the snap collar correctly for when you want to make the notch. You need to measure the length of the tube correctly before you begin. You can do this by measuring from centerline to centerline. Use a marker to place a large dot where you are going to put the joints. You can mark a centerline by then using a tube to span the two tubes, rubbing it across the dots to produce the centerline. It can be hard to notch tubes accurately when you’re a beginner. You can do a dry run using cardboard to test out your angles before you transfer them to a tube. Paper towel tubes work amazingly well for this task. You can also check angles by running string between the tubes then measuring the angles with a protractor. Always use a low speed on your drill, particularly when you are cutting non-metal pipes. A faster speed can generate a lot of heat which can transfer into the pipe material, causing disfiguration of the material. Not all tube notchers are created equally. You’ll find that different notching tools are available in a wide variety of styles, and at different ends of the budget scale. But what does this mean for you? Here, we take you through some of the considerations you need to take into account when buying a tube notcher. When buying a tube notcher, you need to take into account what you’re going to be using it for. If you are working on a pet project that you’ve been thinking of for a while, then you will find that you’re not going to use it too much, and therefore don’t really need to buy one that costs a fortune. However, if you are a professional, you’ll find that you need a notcher with lasting power. Therefore, spending the extra money on a notcher that is built using top quality materials will save you time and money in the long run. Each job is different, and you may find that what works for one job isn’t necessarily suited to another. If you are working with PVC piping, then you don’t need a notcher that has super strong blades. However, if your work is going to see you cutting into metal or even harder materials such as granite or porcelain, then you will need to look for a notcher that contains a saw with diamond grit blades. What angles will you need? The most common angles that you’ll need to cut will be below 45 degrees, so you’ll find that most entry level notchers will have this angle as a top limit. However, more professional workers will find that they come across many angles that require a different setting. These professional level units will allow you to top out at 60 degrees. What kinds of tubes do you need to notch? You are also limited by the size of the tube you will need to notch. Most notchers will enable you to create notches in tubes that are around two inches in diameter. However, if you require a more specialized cut, then you should consider a notcher that goes all the way up to three inches. Q: Do I need a drill press to use a tube notcher? A: No, you can use a handheld drill when notching tubes. Q: How do I determine the proper length at which to make a cut? A: This depends on the angle of the notcher. If the angle is less than 45 degrees, then cut the tube longer by about one third of the diameter of the tube. If the angle is greater than 45 degrees, then cut the cube at the intersecting point. Q: Can I notch stainless steel? A: Yes you can, but you need to make sure that the blades can cut this material. Always check the specifications. Q: Will a tube notcher work on wood? A: Absolutely. The saws are very effective when cutting holes in wood. Q: What sized hole saw blades are compatible with tube notchers? A: You will find that for nearly all tube notchers, the standard hole saw blade sizes will fit. Some units come with the blades, but if you need to purchase them separately, you can buy any standard size blade. Which tube notcher caught your eye? Our favorite is the Baileigh tube notcher, thanks to the many features of this unit that we think make it stand out beyond the rest. The self-centering vise means that you’ll be accurate with each cut, and the large dials make it easier to see what you’re doing. We hope that this guide has helped you in making your decision on the best tube and pipe notcher to go for. Not only will a tube notcher vastly improve the quality of the work you’re producing, but it will do it without breaking the bank.